We recently was given (well when I say we – it more of the case of Richard) some Homebase vouchers, so we decided to use it to do those decorating jobs we always talked about. 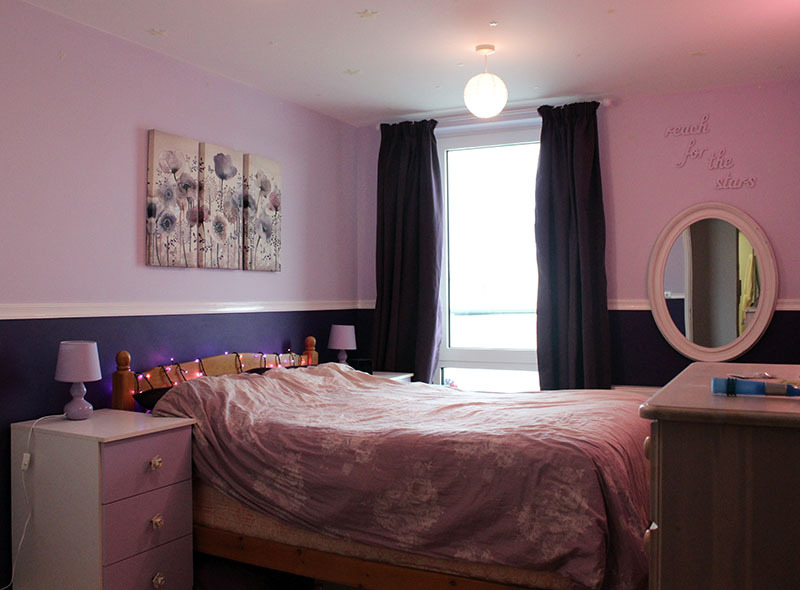 I always talked about having a purple room, yes you did read that. 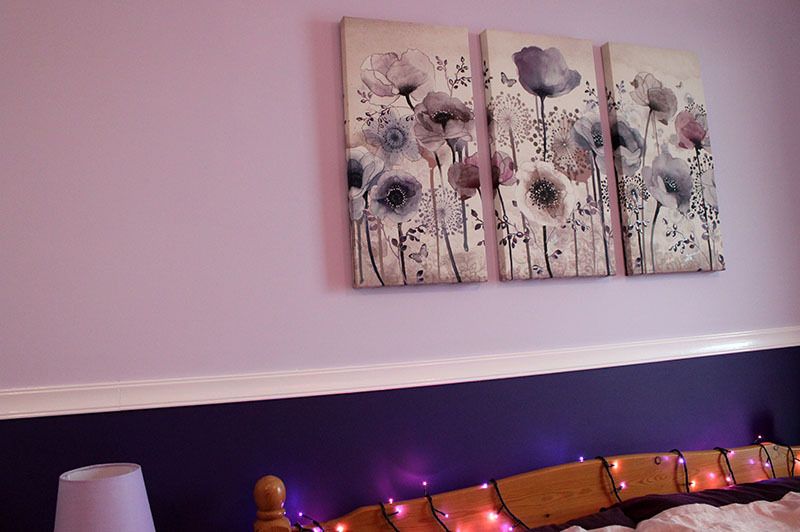 I’m obsessed with the colour purple, don’t ask me why but it’s my favorite colour and I have been wanting a purple room for a very long time. I suppose in my head having a purple room would be like an oasis of calmness or gypsie bohemian dream, that doesn’t make sense does it just bare with me; Basically I wanted somewhere I can put my bohemian dream to reality. So anyway with these vouchers I decided now is the time for me to get that purple bohemian room, It was a case of going to my nearest store and picking out a paint sample of what shade of purple I wanted. So many choices and so little time, I think I walked away with 6 different purple shade paint samples. To cut a long story short, after much arguments about me wanting the wall to be a full deep purple we eventually picked two (it was a compromise) and decide to have freeze (border) in the middle. 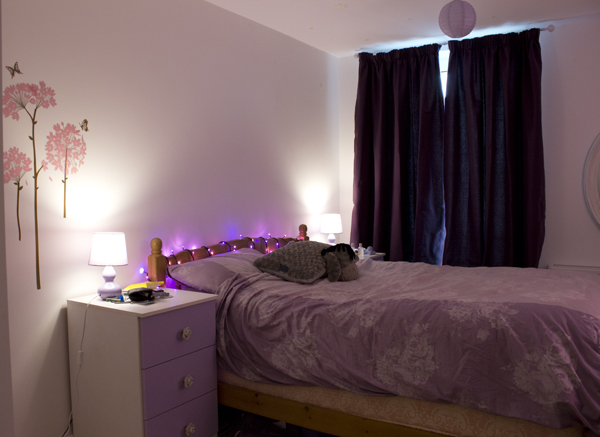 My purple/lilac bedroom complete with a cherry blosson light and purple pink lights. The thing was, when we first moved in and as it was a brand new block of flats we wasn’t allowed to paint the first year so we had to improvise. 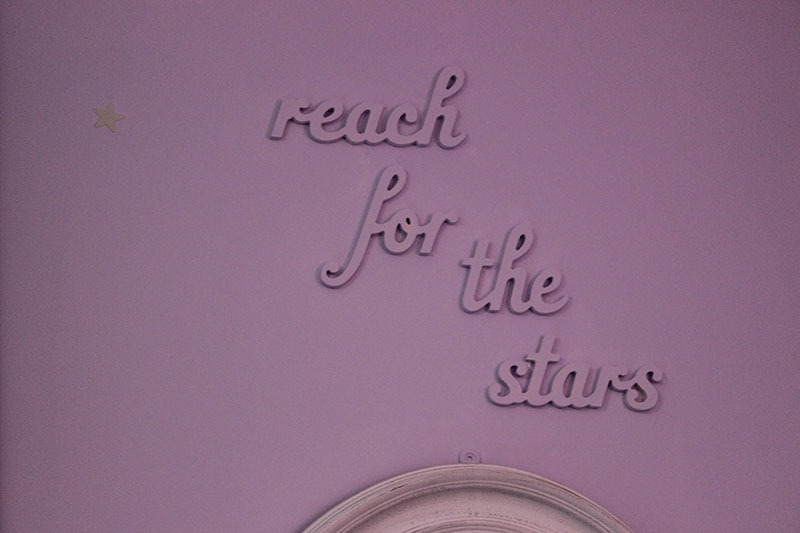 A little sign to say ‘Reach For The Stars’ as we have glow in the dark stars. Trust me when I say they look amazing!! 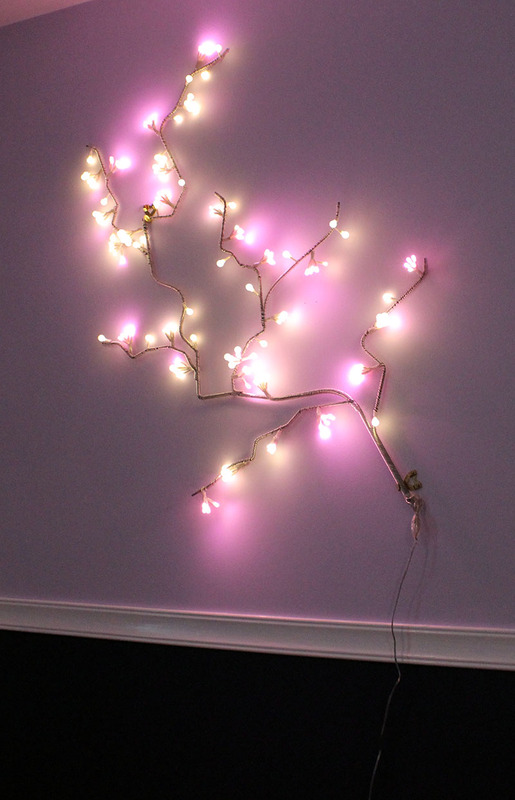 Last but not least, my cherry blossom lights Richard brought me for valentine day one year. 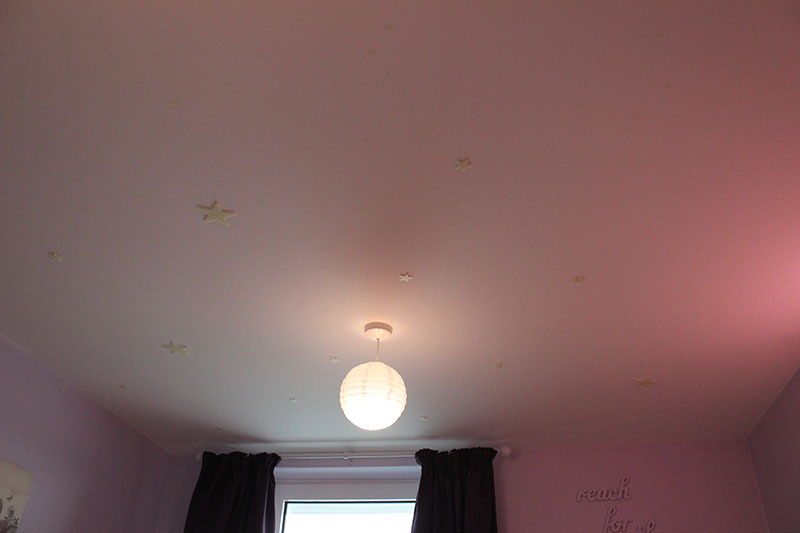 So there you go, the amazing transformation of the bedroom. All it need now is a small rug, 2 white light shade (don’t want to go OTT on purple do we), some fake flowers and new bedsheet but there’s no rush is there. Amazing what a splash of paint can do. What do you think? Hi Amy, thank you and I completely agree. However my parents seem think they are a little childish! Oh well what do they know.